There have been plenty of reports recently about weak demand for the iPhone X and how it might affect Apple’s bottom line. Now that the company’s Q2 2018 results have arrived, we get to see a clearer picture. Overall, it was a strong quarter, and while year-on-year iPhone growth was only 3 percent, revenue from the handsets was up 14 percent. 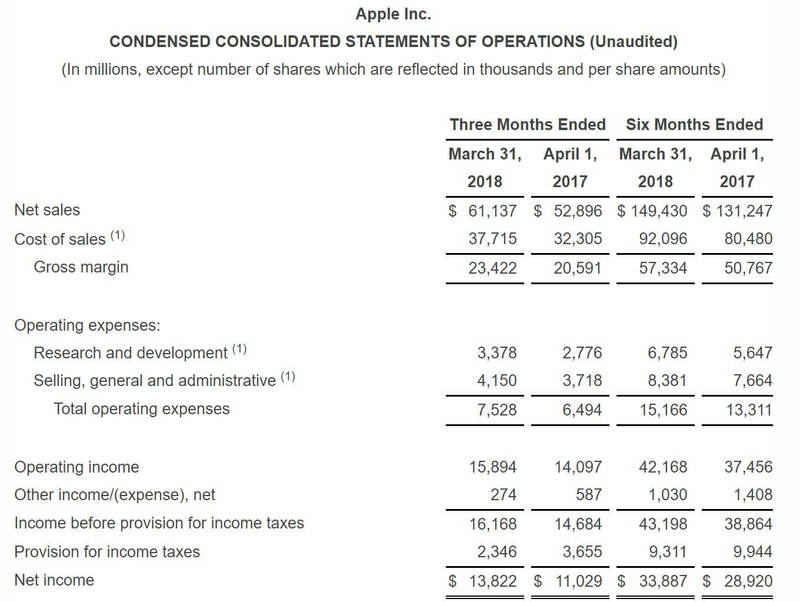 Apple reported second-quarter earnings of $2.73 a share, up 30 percent year-over-year, on revenues of $61.1 billion. Beating analysts’ predictions of $2.67 per share on revenue of $60.8 billion. 52.21 million iPhones were sold during the quarter, just shy of Wall Street’s target of 52.3 million, and while a 3 percent increase might sound disappointing, the high price of the iPhone X helped push revenue growth into double figures. The Average Selling Price (ASP) for the iPhone is up from $655 during the same period last year to $728. Apple’s other hardware products were equally flat: 9.113 million iPad sales marked a 2 percent YoY rise, with revenue increasing 6 percent and iPad ASP going up from $436 to $451. 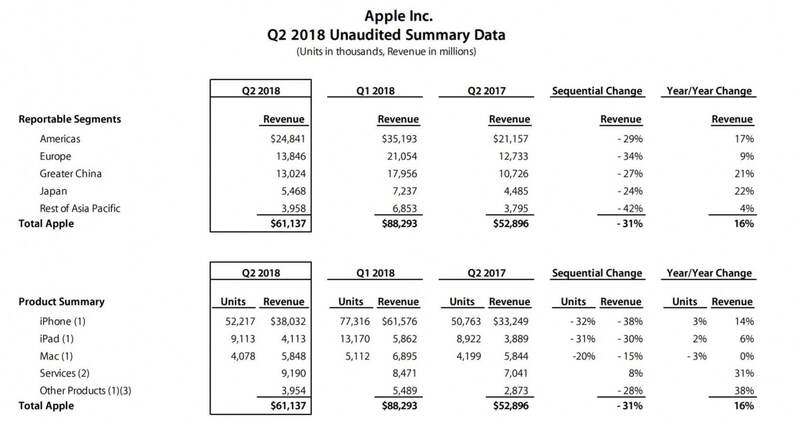 Mac sales, meanwhile, were down 3 percent to 4.07 million, and while the Mac's $5.8 billion revenue was flat compared to last year, ASP was up from $1392 to $1434. It was the company’s Services and Other Products segments that really excelled. Digital content, AppleCare, Apple Pay, licensing and other services saw 31 percent growth, bringing in $9.2 billion in revenue for the company. Other Products (covering the AirPods, Apple TV, Apple Watch, Beats products, HomePod, and iPod touch) was up 38 percent to $3.9 billion. "We're thrilled to report our best March quarter ever, with strong revenue growth in iPhone, Services and Wearables. 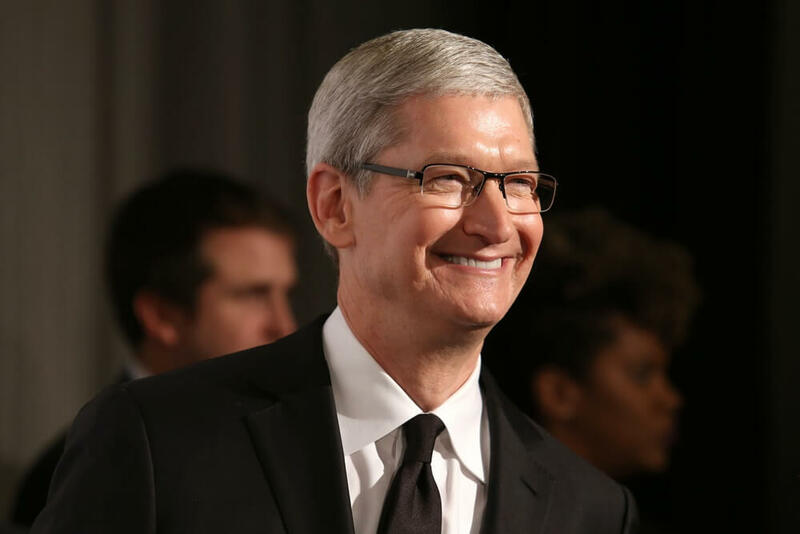 Customers chose iPhone X more than any other iPhone each week in the March quarter, just as they did following its launch in the December quarter,” said CEO Tim Cook. “We also grew revenue in all of our geographic segments, with over 20% growth in Greater China and Japan." Apple said that for the current third quarter, it expects revenue between $51.5 billion and $53.5 billion.